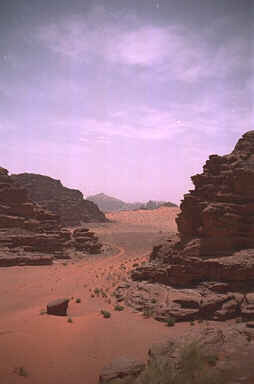 According to the Jordanians, the desert at Wadi Rum is the most beautiful in the world. Believe it or not, this place looks GREAT !! 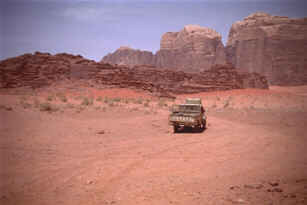 To see Wadi Rum, you definitely need a 4x4. If you don't want to get lost, you also need a guide. 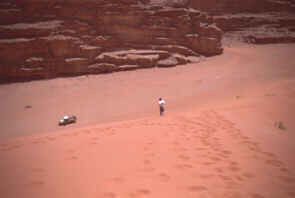 Our bedouin guide called this sanddune 'moving sand'. The meaning of this we discovered when we tried to climb it: one step up, two steps down.